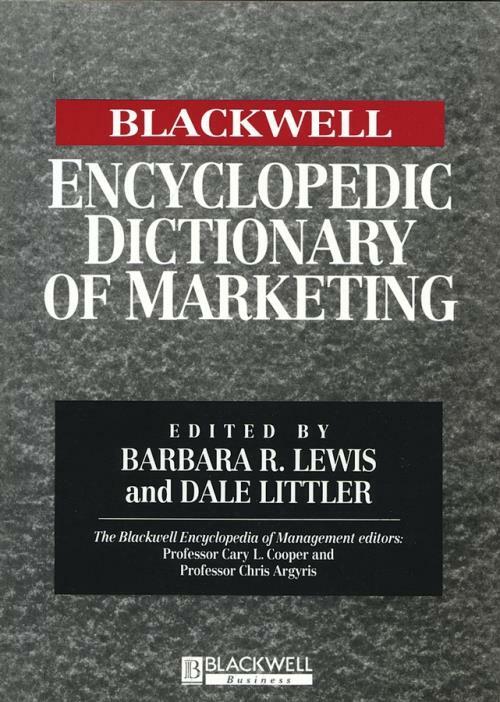 The Blackwell Encyclopedic Dictionary of Marketing provides clear, concise, up to the minute, and highly informative definitions and explanations of the key concepts covering the whole of the fast–changing field of contemporary marketing. Bringing together specially commissioned and carefully edited entries, this will become the standard reference for students, researchers, academics, and practitioners. Authoritative and comprehensive coverage of the whole field including the marketing environment, marketing management, consumer behaviour, segmentation, organizational marketing, pricing, communications, retailing and distribution, product management, market research and international marketing. A full index and cross–references for detailed research, as well as relevant bibliographical citations for further study. Definitive entries covering the very latest developments in marketing. This dictionary is part of The Blackwell Encyclopedia of Management, which contains ten further volumes covering each of the key areas of management science, developed under the editorship of Professor Cary L. Cooper from the Manchester School of Management and Professor Chris Argylis of Harvard Business School.